OPEN up your ripe avocado by slicing it half way trough. Carefully tap your knife into the avocado pit and remove the pit, this is a very easy method without using a spoon or something else that can damage your beautiful avocado. SCOOP the whole avocado out of its shell and rub trough a fine sieve. 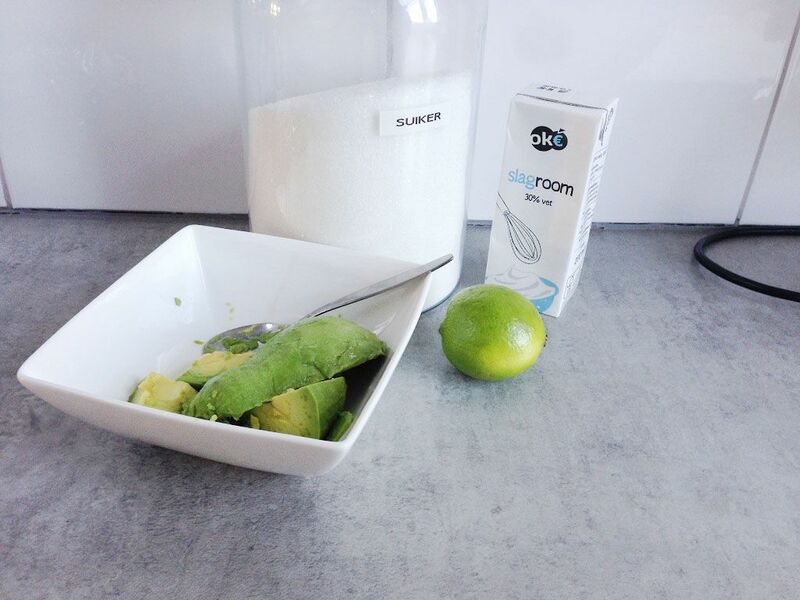 ADD in the lime juice, this will prevent the avocado from loosing its green color. MIX in sugar and cream until you reached a smooth mixture. 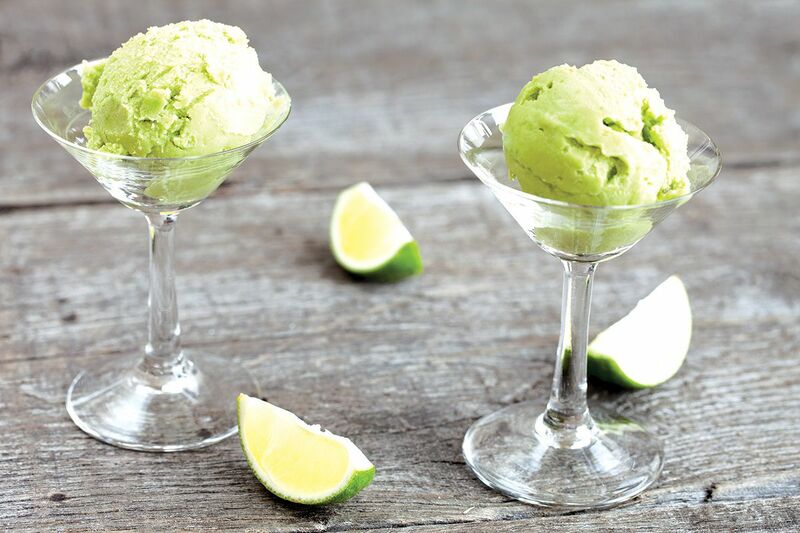 You can use as much avocados as you like, just double the amounts for more ice cream fun. 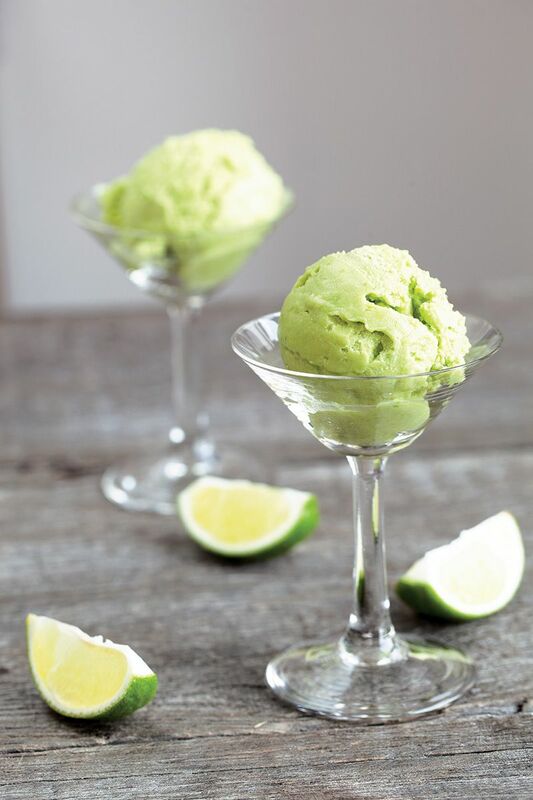 Not only is the preparation very easy and quick, if you have an ice cream maker this step is even easier. Just pour the mixture into the machine, after about 20 minutes your ice cream will be ready for use. Eat it right away, or store in an air-tight container up to 3 months. 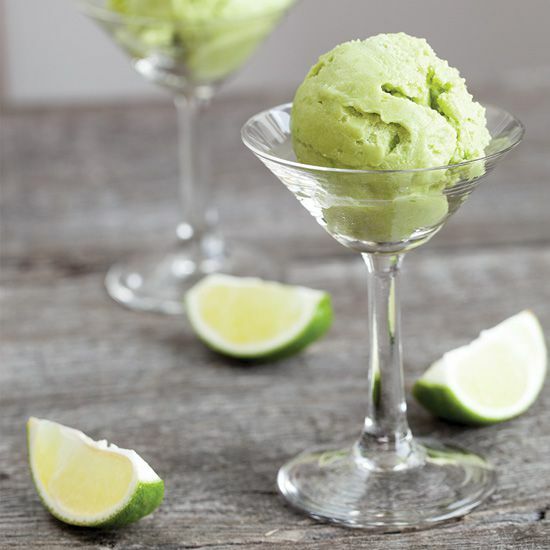 You can even make this ice cream without an ice cream maker. After finishing the mixture, put it in your freezer. You have to stir it from time to time by hand, so it will be less smooth than using an ice cream maker but it will still taste great!